GROWER CHAMPAGNE is a sparkling wines made in the Champagne region of France that is produced by the same estate that owns the vineyards from which the grapes come. By contrast to the big brand names, these independent growers handcraft their limited quantities of Champagne from individual villages and parcels, where the inherent qualities of the vineyards imprint themselves into the wines. Most of our Champagne Houses produce less than 150,000 bottles a year and are owned, or significantly influenced, by “new generation” owners (i.e. sons and daughters of the family owners who are in their 30s to 40s). Most are “récoltants-manipulants” (or equivalent) and produce top quality award winning premium wines with passion and vision from all of the five wine producing districts of Champagne. Today there are over 19,000 independent growers in the Champagne region, accounting for nearly 88% of all vineyard land in the region. Around 5,000 of these small growers produce wine from their own grapes – “Grower Champagne” - and can be identified by the initials RM (meaning Récoltant-Manipulant) on the wine label. These winemakers are brave souls in an industrialised age: growing, crafting, vinifying and bottling their own Champagne and, offering it to the world as their life’s work. They deserve your support. Original & Distinctive source a variety of Grower Champagnes (Méthode Champenoise) in order to offer a PORTFOLIO of niche premium original & distinctive beverages™ from small producers. Because these producers are small, stocks may at times be limited, which is why we constantly review and refresh our portfolio of ‘hand crafted’ drink products (which will change from time to time) to ensure we always have on offer a range of quality products that are creative and stylish and, not readily available in the supermarkets chains. CHAMPAGNE GUY CHARBAUT - (Son - Xavier) has vineyards in Côte des Blancs, Montagne de Reims and the Vallée de la Marne; where 70% of its grapes used are Premier Cru. 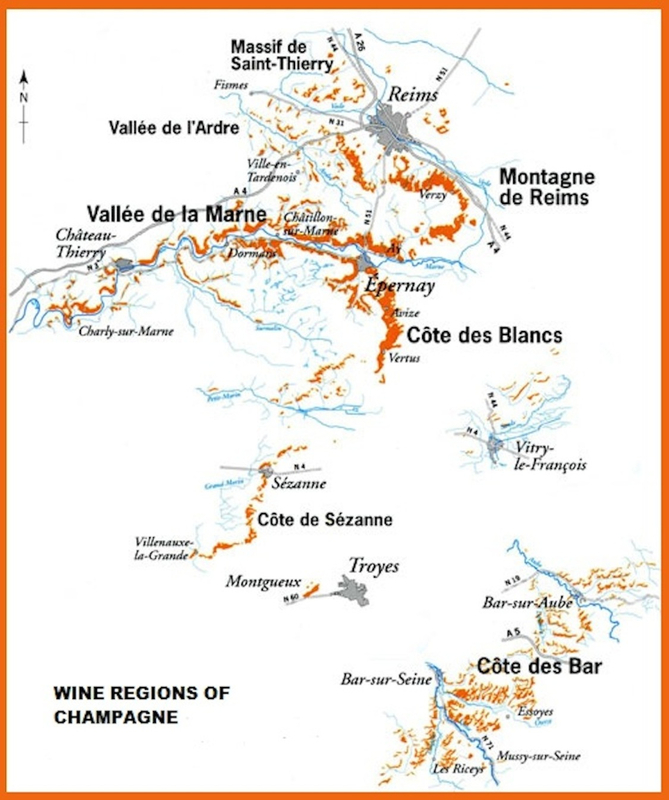 CHAMPAGNE GUY CHARLEMAGNE - (Son - Philippe) has vineyards in the Côte de Sézanne and the Côte des Blancs where 65% of its grapes used are Grand Cru. CHAMPAGNE L&S CHEURLIN - (Daughter & Son - Lucie & Sébastien) already produces ‘near organic’ wines of outstanding quality and has further ecological aspirations for its vineyards in the Côte des Bar. CHAMPAGNE JACQUINOT ET FILS - (Son - Jean-Manuel) has been producing wines for over 80 years and additionally provides grapes to Moët & Chandon from its vineyards in the Côte des Bar. CHAMPAGNE MOUTAUX - (Daughter & Husband - Christine & Renaud) is a fifth generation Champagne maker, who were awarded the certification of “Terra Vitis” (Sustainable viticulture) in the Côte des Bar. CHAMPAGNE DENIS ROBERT - (Son - Vincent) cultivate in accordance with the charter of environmentally friendly viticulture in its vineyards in Vallée de la Marne. CHAMPAGNE J. DE TELMONT - (Son & Daughter - Bertrand & Pascale) is a fourth generation Champagne maker that owns 36 hectares of vineyard located in prestigious villages throughout Champagne.